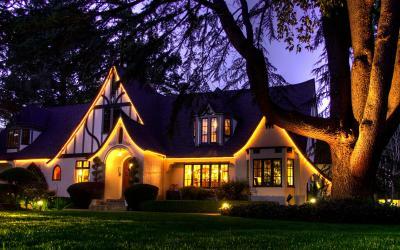 Lock in a great price for Candlelight Inn Napa Valley – rated 9.6 by recent guests! We enjoyed the friendliness of the staff and the location. The room was extremely comfortable. The refrigerator full of snacks and the available wine and port were an awesome perk. The breakfast was fantastic too! Delicious breakfast everyday. Nice comfort touches such as fireplace in room, jacuzzi, heated pool and complimentary snacks, cake, wine and cheese plates. Absolutely fantastic... we stayed at the magestic suite, beautiful room with a view of the garden, highly recommended. The staff is excellent, the inn is cozy and charming and just a few minutes away from Napa center. Do not hesitate!! Its perfect!! This place is amazing! Great setting, w lots of attention to detail. Daniel, Judy, Sam and the rest of staff are all very helpful, even before we got here. This is the place to stay in Napa. The hospitality from all the staff. The beauty of the property. The good location within Napa Valley. The breakfast were delicious, hot and delivered pleasantly. My wife and I celebrated our 30th wedding anniversary and couldn't have picked a better place to stay. Loved the spacious room Loved the 3 course 5 star breakfast The staff was excellent, Owner Sam, Scott, Dan, Gella and all. Booked the room for a romantic weekend with my girlfriend. This place is fantastic - big size rooms and bathrooms with all amenities, a fantastic breakfast each morning, friendly, caring, helpful, and cordial staff, free wine, Port, coffee, tea, soft drinks, bottled water, cookies and brownies for the taking at all hours. Nice and clean swimming pool and a beautiful garden. 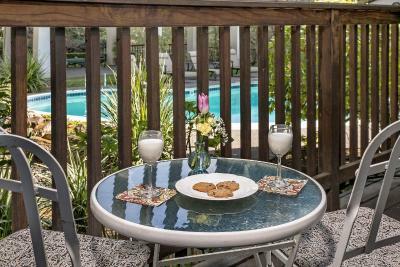 The Candlelight Inn B&B is conveniently located a short drive from downtown Napa, the central Napa Valley Highway with easy access to other Napa Valley destinations, wineries, and towns. We had a fantastic time here and are already started talking about returning for another romantic weekend! Candlelight Inn Napa Valley This rating is a reflection of how the property compares to the industry standard when it comes to price, facilities and services available. It's based on a self-evaluation by the property. Use this rating to help choose your stay! Set in a 1929 English Tudor inn, this adults-only Napa Valley bed and breakfast offers spacious, unique rooms and a three-course breakfast. 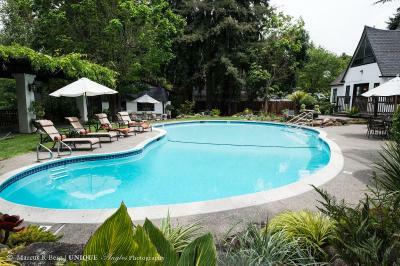 Guests may enjoy the outdoor pool and patio. Each room offers an individual classic design, but all include a private bath with bathrobe. Rooms are also equipped with free WiFi and a flat-screen TV with DVD and CD players. Breakfast is served each morning in the Napa Valley-style breakfast area. 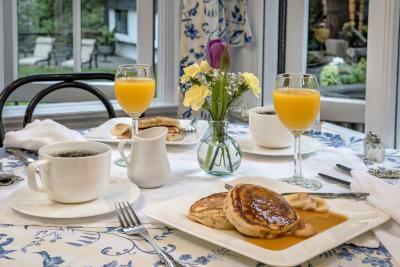 The first course offers fresh fruits and yogurt and the second course offers choices of pancake or French toast dishes. 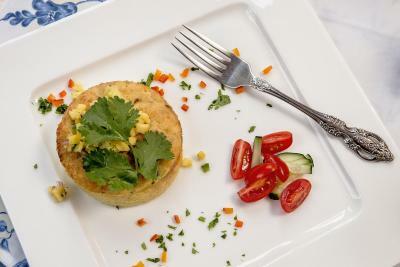 The final course features gourmet creations including a spinach and mushroom strata with tarragon. The innkeepers are happy to provide dining recommendations and help plan a day in wine country. Free newspapers, beverages, and snacks are also available throughout the day. The Candlelight Inn Napa Valley is less than 3 mi from the Napa Valley Wine Train and less than 5 mi from the Napa Municipal Golf Course. This property also has one of the top-rated locations in Napa! Guests are happier about it compared to other properties in the area. When would you like to stay at Candlelight Inn Napa Valley? This room offers a pillow top bed, a spa bath, a flat-screen TV, and a gas fireplace. A maximum of 2 guests are permitted in this suite. A two-person spa bath, a fireplace and pillow-top bedding is featured in this room. A seating area is offered. A maximum of 2 adult guest are allowed in this room. This room offers a pillow top bed, a private bathroom, a flat-screen TV, and air conditioning. A maximum of 2 guests are permitted in this room. A two-person spa bath, a fireplace and pillow-top bedding are featured in this room. A seating area is offered. A maximum of 2 adult guest are allowed in this room. A shower and a bath, a fireplace and pillow-top bedding are featured in this room. A seating area is offered. This room offers a pillow-top bed, a private bathroom, a flat-screen TV, and air conditioning. 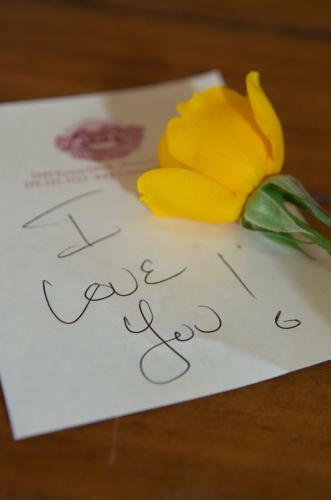 House Rules Candlelight Inn Napa Valley takes special requests – add in the next step! Candlelight Inn Napa Valley accepts these cards and reserves the right to temporarily hold an amount prior to arrival. Children are not permitted at this property. Based upon room availability, guests may need to change rooms (within the same room type) during their stay. If canceled before 14 days of arrival, guests will be charged a fee. Please contact property for details. Please inform Candlelight Inn Napa Valley of your expected arrival time in advance. You can use the Special Requests box when booking, or contact the property directly using the contact details in your confirmation. We loved everything. Great hospitality! 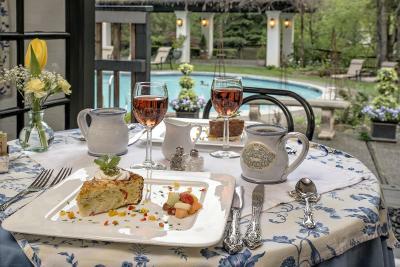 This Bed & Breakfast is tucked away in a quiet court in the Napa Valley. Charming, quaint and very friendly staff. They stock wine, waters, coffee, tea, cookies, brownies, fruit and cheese plates for guests to freely enjoy during their stay. We stayed in the Wine Maker room which was quiet and private. Windows overlook the pool in the backyard which was currently occupied by neighborhood ducks visiting from a nearby creek. Complimentary breakfast was coffee or tea, freshly squeezed orange juice, a berry smoothy, mini muffin, scone, and a delicious frittata with tomatoes, cheese, spinach & feta. We highly recommend the Candlelight Inn! Rooms fill up fast so book early! Breakfast was a bit early for my liking. I am a not a morning person. It was well worth it to wake up though! I was blown away at how cute our room was (Lady Brittany) and so excited for the spa tub in our room. This place is unique and beautiful. Really close to where the nightlife is, so we were able to Uber around easily. Super close to all the wineries so that was exciting. Staff was super friendly and knowledgeable. Breakfast was soooo delicious and filling. Bed was incredibly comfortable. The restaurant owner is quite kind, and breakfast is delicious. The room was cosy and charming, with a lovely jacuzzi bath and a lovely comfy bed. There was a bedroom terrace too, and a gas fireplace which was such a treat. We loved the 3-course breakfast, so delicious and served with real care and flair. The living room with a cosy open fire, the fridge full of cheese plates, chocolate cake, wines, sodas and waters were fabulous touches. The staff were welcoming, kind and exceptionally professional. All in all, one of the loveliest hotels we've had the pleasure to find and stay in. Wonderful!!! The closet space was a bit limited, but that's common in historic hotels. Carpet and decor is slightly dated, but not bad by any means. The property is very unique, which we liked. Good location but you will need a car to get around. The breakfast was very nice and there was plenty of snacks and drinks available at all times. The staff were incredibly attentive - best thing about the stay. Nice little B&B. Had a very warm welcome and a nice chat with Scott. Also good recommendations on what to see and do in the valley. Highly recommended. Property is slightly tired. But comfortable. Great service from all the staff. The breakfast was top notch. Advice about the area and wineries to visit was also excellent. Nothing...maybe new carpets, but other than that it has been fantastic. Beautiful and unique, they have thought about every last detail to make everything special. Food is fantastic.